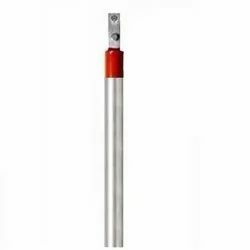 Our organization is immensely reputed as manufacturer and trader of Earthing Electrode. It has excellent quality and is free from defects. We test our entire range before delivery process. We use latest technology and skilled workforce to manufacture Industrial Earthing Electrode. These products offered by us have remarkable resistance against corrosion and ensure uniform earth contact resistance during their entire lifetime. Copper bonded ground rods are the ideal driven earth rod as they offer the installer an economical and efficient earth rod grounding system. 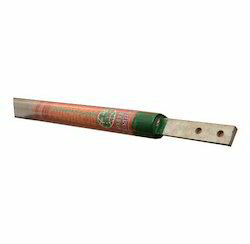 Copper Coated Earthing Electrode have complete Solution with a brand name, manufactured with advanced Technology. We are Manufacturing pipe in solid rod Technology with high duty connecting terminal. The outer pipe wall thickness is 3.2mm in standard length of 3 Meter long. It is Manufactured in Mild steel pipe and it is hot dip galvanized to a Maximum up to 85-110 microns. We have Special Conducting mixture is filled inside the pipe. This Special Mixture allows fast conduction of any fault current or short Circuit current to earth. 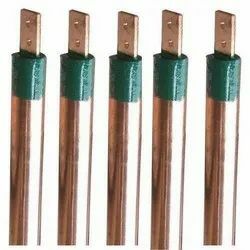 We are instrumental in offering to our clients a wide range of Copper Bonded Earthing Electrode. 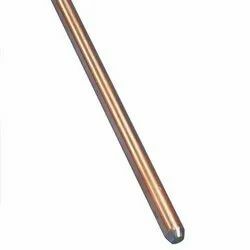 The offered Copper bonded Earthing Electrode is coated with 250 micron. The offered range is manufactured by utilizing excellent quality copper in compliance with various defined norms. The offered range is mainly demanded in the market due to its safe usage, corrosion resistance. The offered range is capable of dealing with stray current. We are Manufacturing pipe in solid rod Technology with high duty connecting terminal. The outer pipe wall thickness is 3.2mm in standard length of 3 Meter long. It is Manufactured in Mild steel pipe and it is hot dip galvanized to a Maximum up to 85-110 microns. We have Special Conducting mixture is filled inside the pipe. This Special Mixture allows fast conduction of any fault current or short Circuit current to earth. 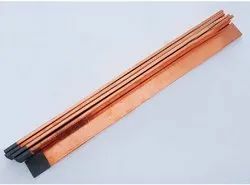 Copper Cladded Electrode is coated with 250 micron. It avoids corrosion. It helps current dissipation will be very fast. We have earned a sterling reputation in the industry for manufacturing and trading Copper Bonded Earthing Electrode. The electrodes which we offer are made in tune with the industry standards for offering ultimate earthing solutions to the clients. 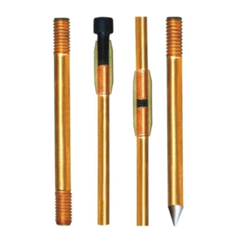 This electrode is bonded with copper and is extensively demanded owing to its safe usage. It is capable of dealing with stray current. 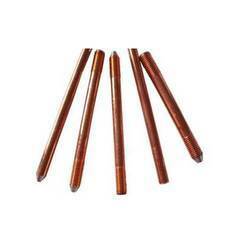 Copper Bonded Earthing Electrodes is made up of Pure 99.9 Electrolite grade Copper(EC). Copper Earthing Electrode life is 25 Plus years. Current dissipation will be Very fast. We use latest technology and skilled workforce to manufacture Copper Electrodes. These products offered by us have remarkable resistance against corrosion and ensure uniform earth contact resistance during their entire lifetime. Allow connection to Earthing systems like foundation Earthing and others. GI Pipe Earthing Electrodes have complete Solution with a brand name, manufactured with advanced Technology. We are Manufacturing pipe in solid rod Technology with high duty connecting terminal. We are the leading and prominent Manufacturer and Supplier of GI Earthing Electrode. 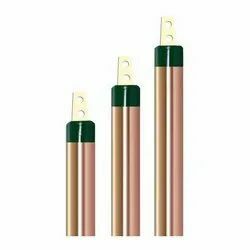 We have established ourselves as a popular organization engaged in manufacturing and supplying Chemical Earthing Electrode. 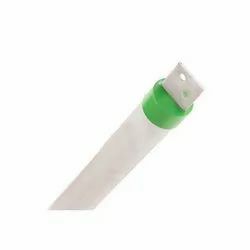 This electrode is developed especially for its application in safe earthing. We manufacture this electrode under the supervision of quality controllers. 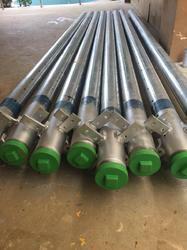 Our Chemical Earthing Electrode is packed in the excellent quality of materials for safe delivery. Available at an affordable price, we offer this electrode in customized sizes and dimensions as per our clients specify. We provide our clients only defect free range. 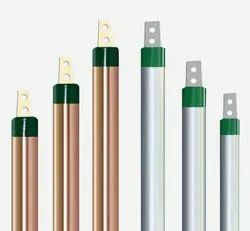 With the endorsement of our adapt and seasoned professionals, we are engaged in offering a commendable range of Earthing Electrode. 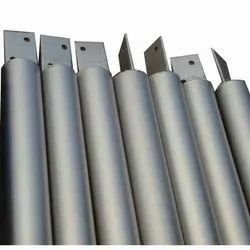 The offered product is manufactured by making use of high-grade components and leading technology in synchronization with the set industrial norms. In line with clients' variegated requirements, we offer the entire range in various customized options. Clients can avail the entire range from us at industry leading prices. A Lightning Protection System (LPS) is a well known system that is designed to protect a structure or building and contents from damage caused by the intensely high voltage currents of a lightning strike((When voltage exceeding a 1,000,000,000 Volt Amps). This system acts like a Faraday cage for buildings. A LPS system performs a simple task and provides a specified path on which lightning can travel. A lightning protection system should include following elements, which work together to stop lightning damage. 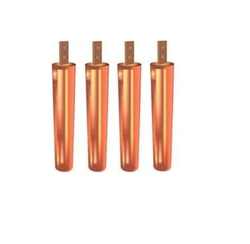 We are the leading supplier of Copper Electrical Earthing Electrodes made available to our clients at competitive prices. 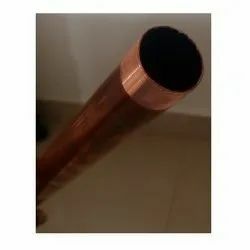 Being one of the reputed organizations in the market, we are engaged in manufacturing and supplying a quality assured the range of Commercial Building Earth Rod. Looking for Earthing Electrode ?